Excavation of the pond showing the irregular shape and volume of fill needed to recreate the dunes. Fescue meadow in June, subtle contours disguise driveway. 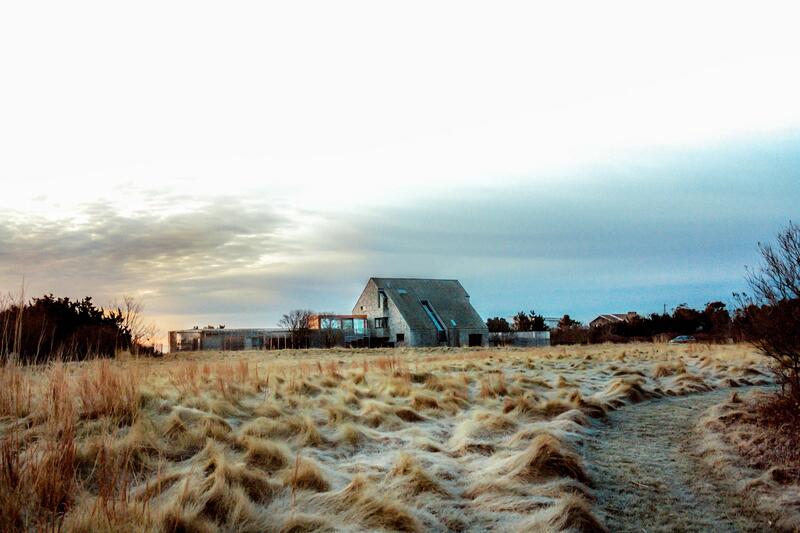 Late fall view of meadow showing bluestem grass and fescue. 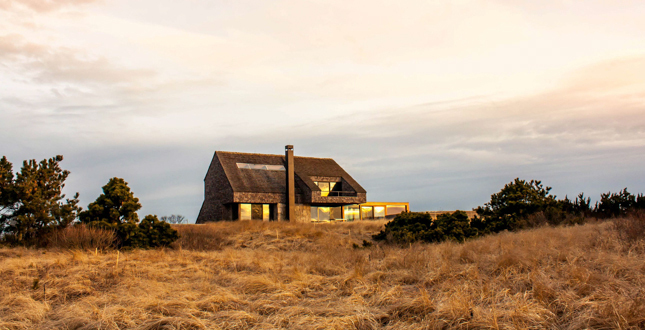 Relocated house set in new dune landscape sixteen feet above existing shape. 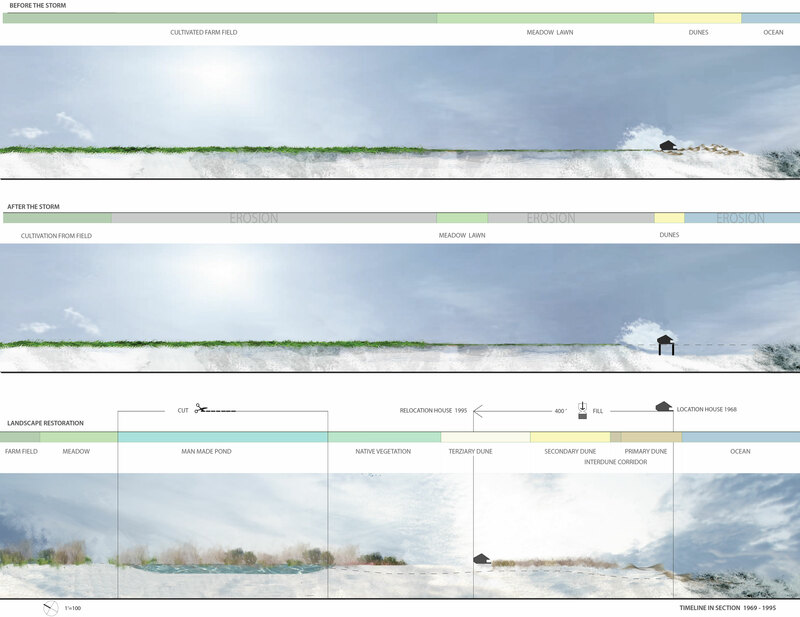 Deck dune interface showing steel retaining walls and level changes. Knife-edge concrete retaining wall transition grading from lower to upper level. Rolling meadow with native shadblow trees. 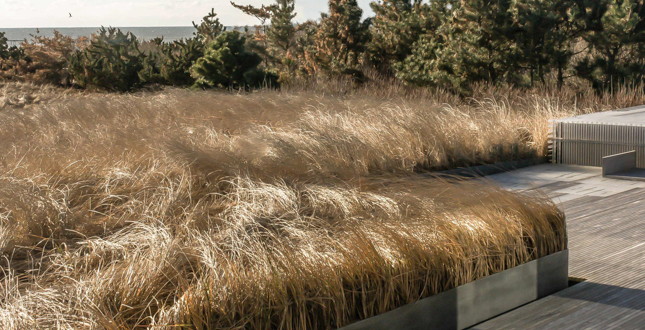 At the entry garden a bent grass lawn panel is enclosed by mowed rough and higher fescue meadow. 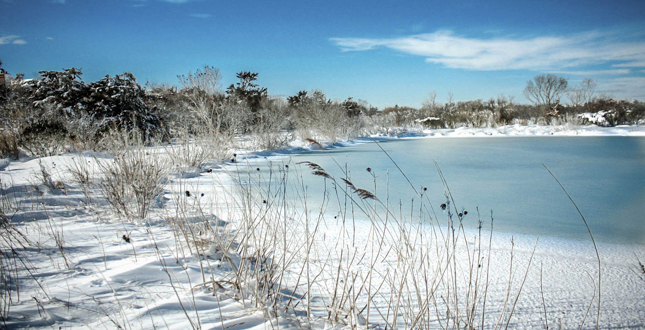 Man made pond showing “hidden shoreline” native plant thickets and emergent pond vegetation. 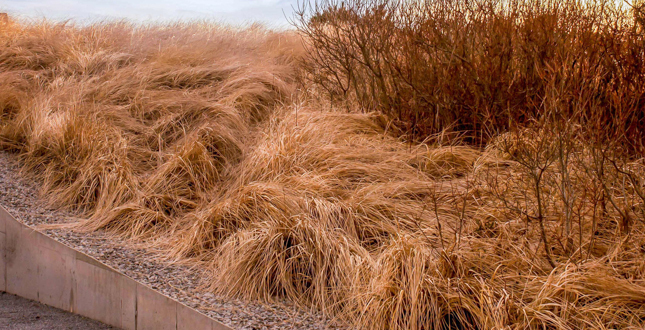 Complementary textures of native sedge and liriope line the entry garden. 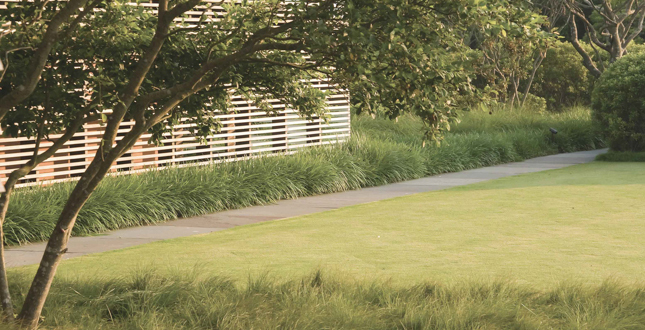 A specimen native shadblow accents the space and softens the building's scale. 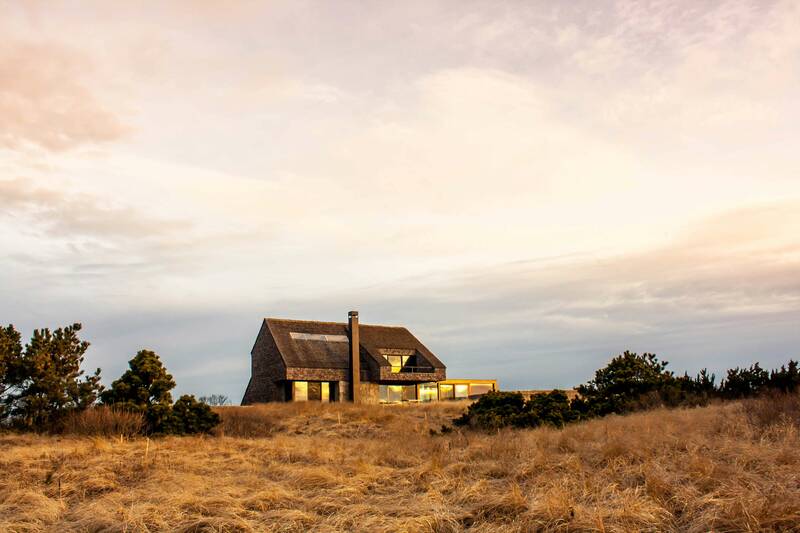 In order to save their beloved house from the incessant and inevitably threatening encroachment of the Atlantic Ocean, the owners of this 1970's award winning “Record House” were willing to relocate their home in a more protected site. 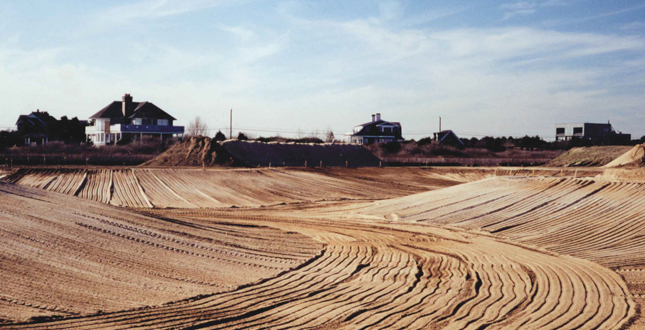 The project site is a 600' x 2,000' area of open farmland and rolling sand dunes. Half of the site is leased to a local farmer for cultivation purposes, while the southern half is occupied by a single family residence. 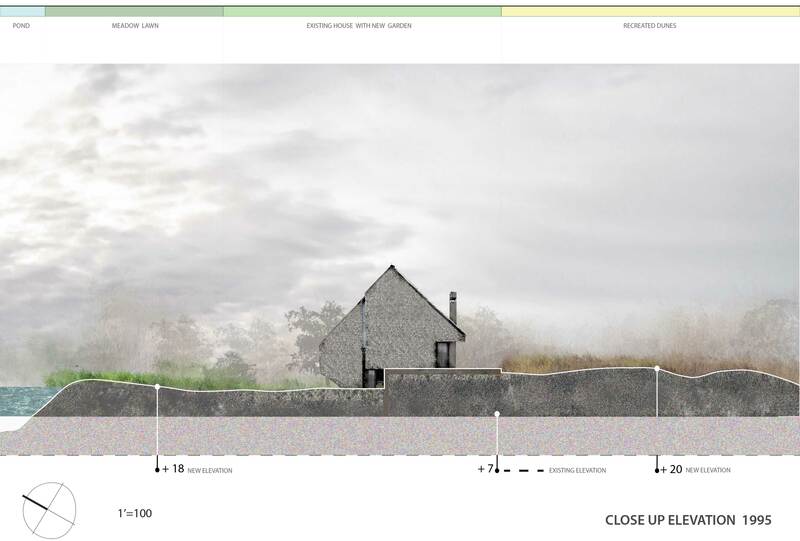 The project involved relocating the existing house from its original location, which over the course of 35 years, had become compromised by the natural erosive forces of the Atlantic Ocean. In an emergency measure, the dwelling was cut loose from the existing pilings and moved 400' further inland. 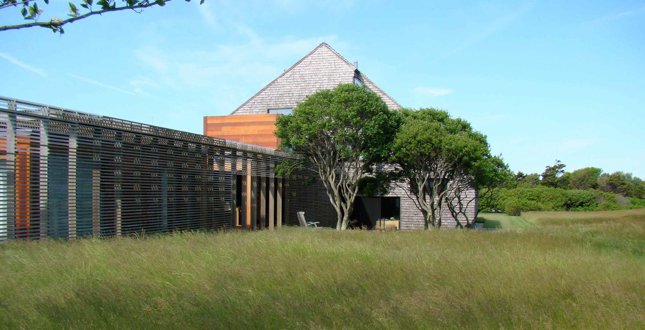 The concept for the design of the new additions was a series of outcropping decks, which would step down from the original structure and feather into the landscape. 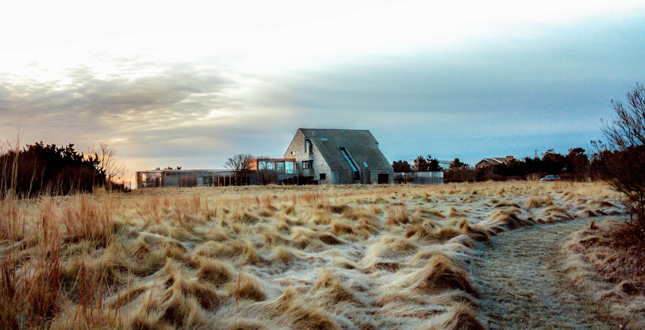 The natural transition required the Landscape Architect to integrate the new house within a naturalistic coastal landscape of undulating sand dunes and meadows. 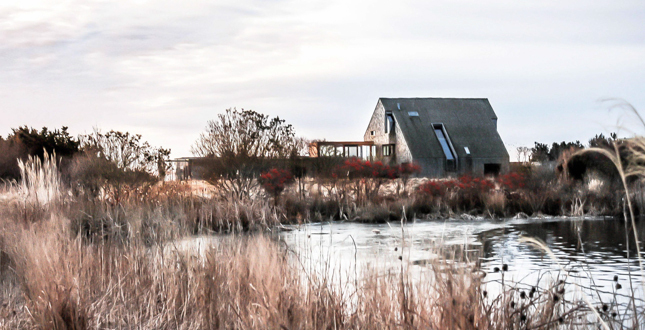 In order to recreate the natural asset, the landscape needed to be regenerated and in part fabricated, as the new location was in the midst of a flat cornfield. 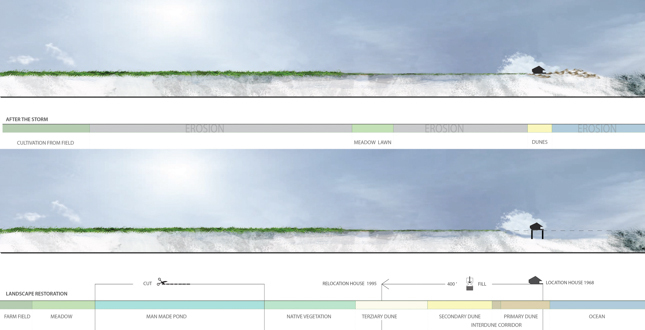 The proposed work required a tremendous amount of filling and early grading studies revealed a need for approximately 30,000 cubic yards of imported fill. 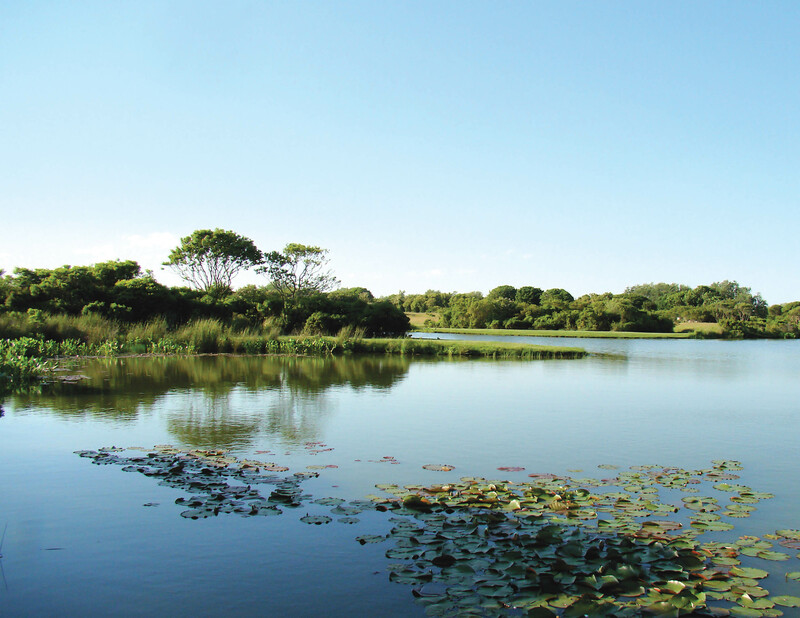 As an alternative strategy and one which provided potential property enhancement, the Landscape Architect suggested mining the fill from on site, while building a pond in the process. 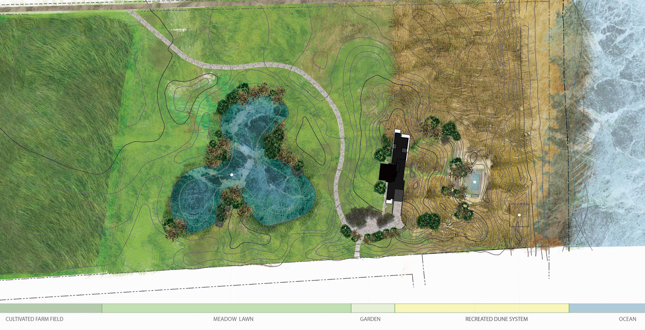 In an effort to visually minimize the 60,000 square foot pond a convoluted pond shape was designed which allowed only portions of the pond to be viewed from any given perspective. This “hidden shoreline” device helps to create an illusion, leaving the ponds true size unknown. The strategy has been utilized in such notable instances as the Katsura detached palace in Kyoto, Japan and by Capability Brown's lake at Blenheim Palace, England. 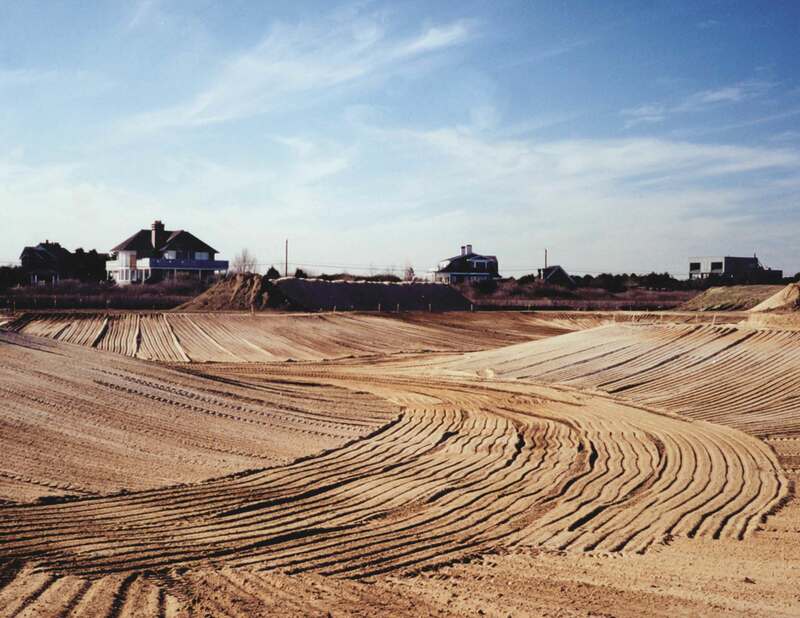 In constructing the pond, a bentonite and vinyl geo-textile fabric was provided as the waterproofing layer, with 12 inches of clean sand overlaid to protect the liner and provide a media for aquatic plant growth. 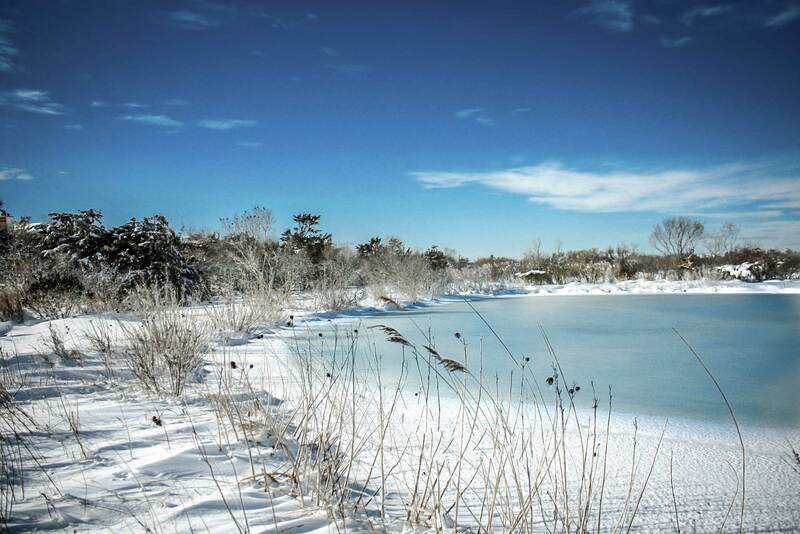 The pond's depth varies from 6 inches to 11 feet, providing enough depth and available surface area to allow for a natural inversion process that maintains a clean and healthy pond. 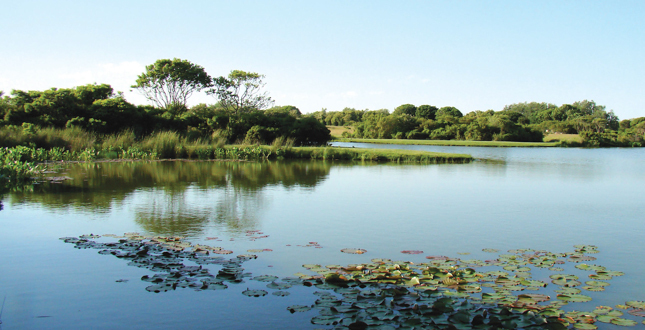 Emergent and submergent plants were placed in and around the pond to develop a healthy, naturalized ecosystem, and native fish species were additionally stocked to increase the ponds overall bio-diversity. 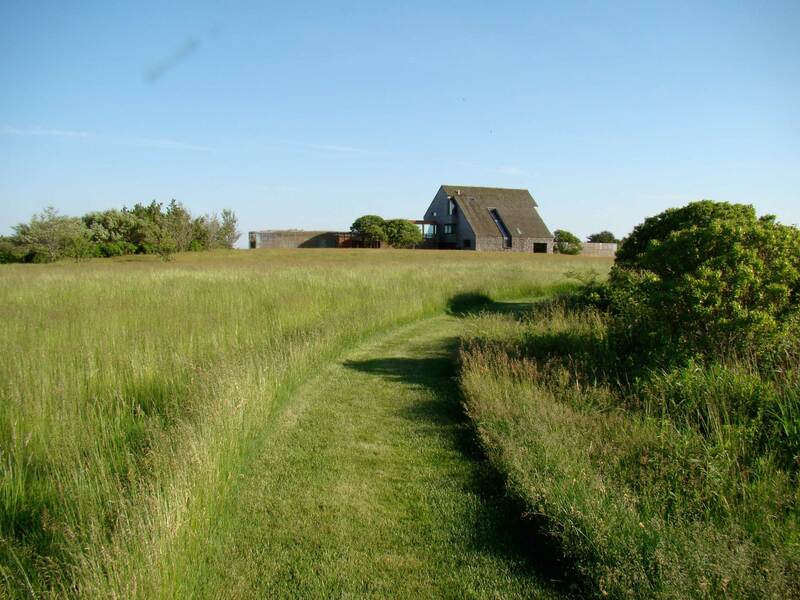 Surrounding thickets of native upland vegetation were planted to provide habitation for local fauna and to screen adjacent houses from various vantage points. 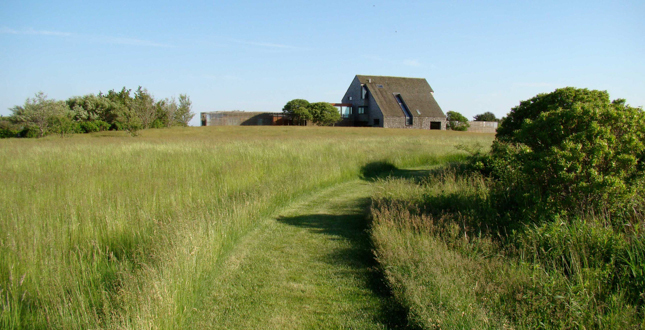 A simple, mowed grass path meanders around the pond and occasionally touches the shoreline for access to different viewing areas. 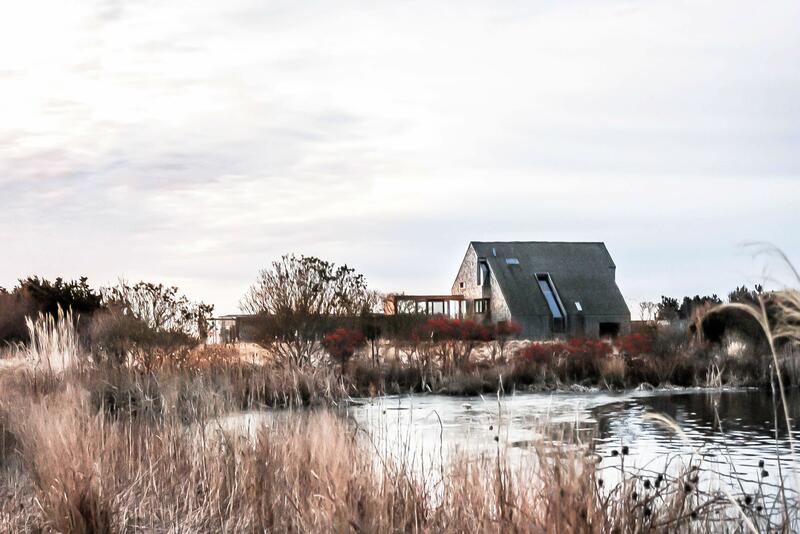 Such freshwater ponds are a natural and common feature along the coastline of Long Island, so the water feature was a contextually suitable solution to acquire the requisite fill for the project. 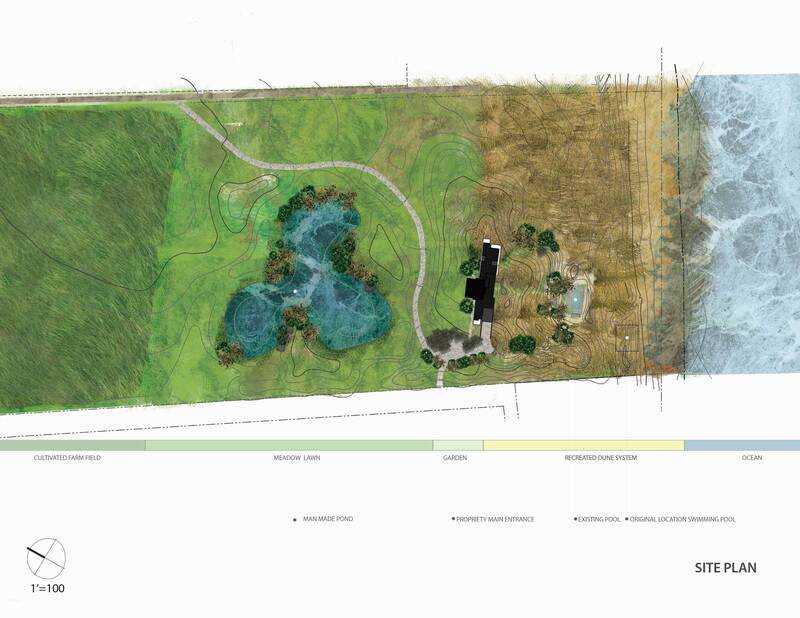 The earth fill from the pond excavation was carefully stockpiled into three major soil types and then distributed to various places on the property. The re-building of the dune system was of first importance. A soil lift of 17 feet was required to allow the first floor terraces to rest at the same elevation as the original house. The remainder of the dune filling was contoured into long rolling berms, staggering in East-to-West lines, similar to the natural dunes and ocean waves. The resultant grading was capped with a layer of imported, dredged beach sand, which has a more natural look than the mined sand. Organic matter in the dredge also promotes the growth of American beachgrass, eliminating the need for artificial fertilizers, often needed in sterile mined sand. Pathways through the dunes were constructed of finely crushed, indigenous pea gravel to form firm pathways down to the beach and the original swimming pool. 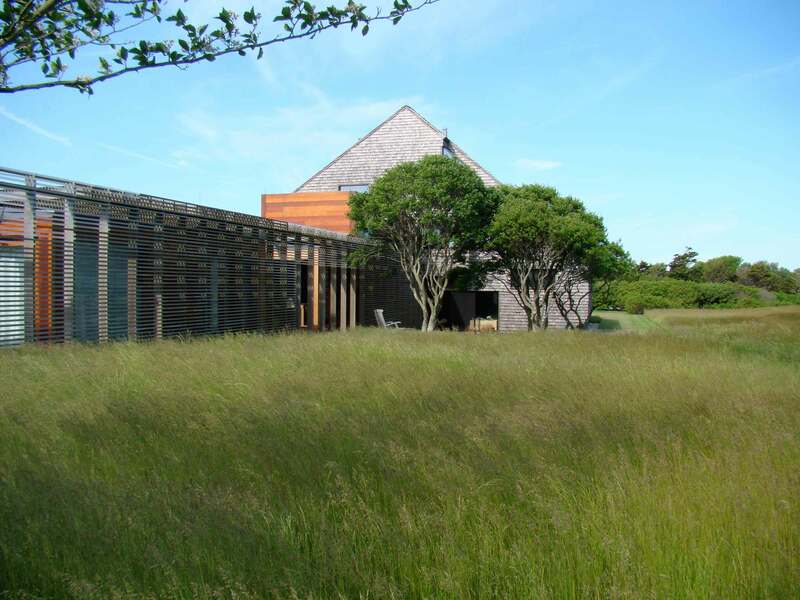 The remaining soils were used on the north side of the house to provide a gentle transition from the hilly dunes to the rolling meadows. 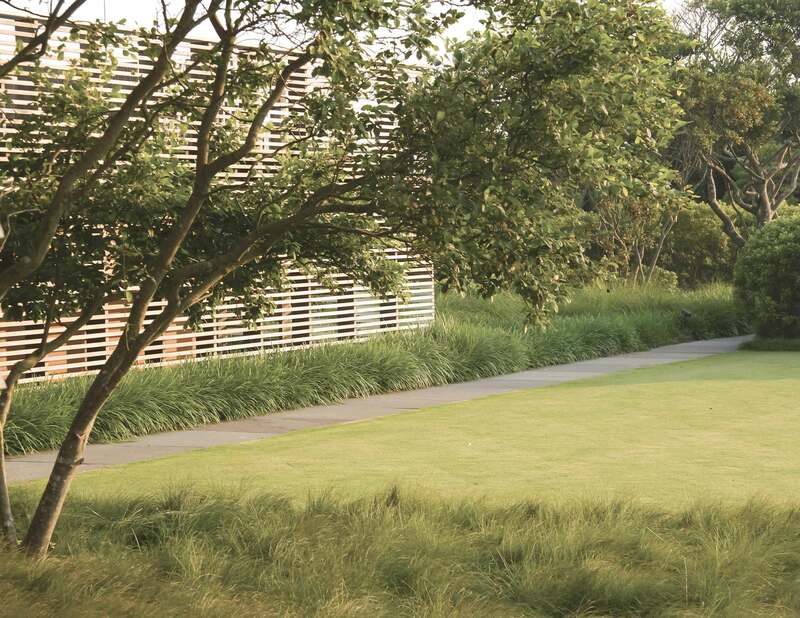 Subtle changes in grade occur everywhere on the site to either create spaces or conceal pathways and driveways from various vantage points. 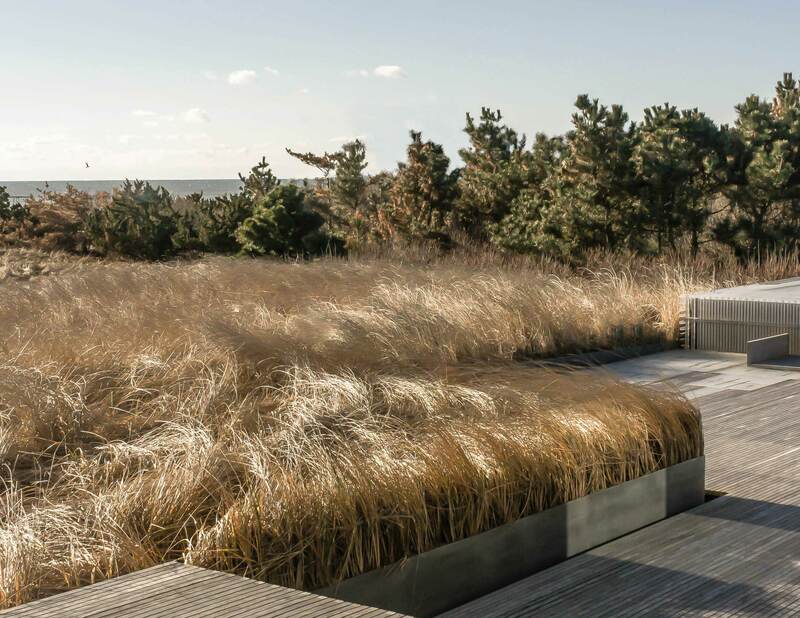 The luxury of such an oversized site allowed the Landscape Architect to create large scale sweeping gestures in the grading. 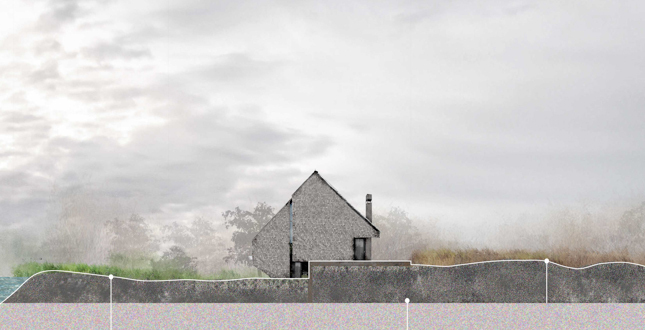 Although very subtle, these gestures are what gracefully marry the architecture and land back together. 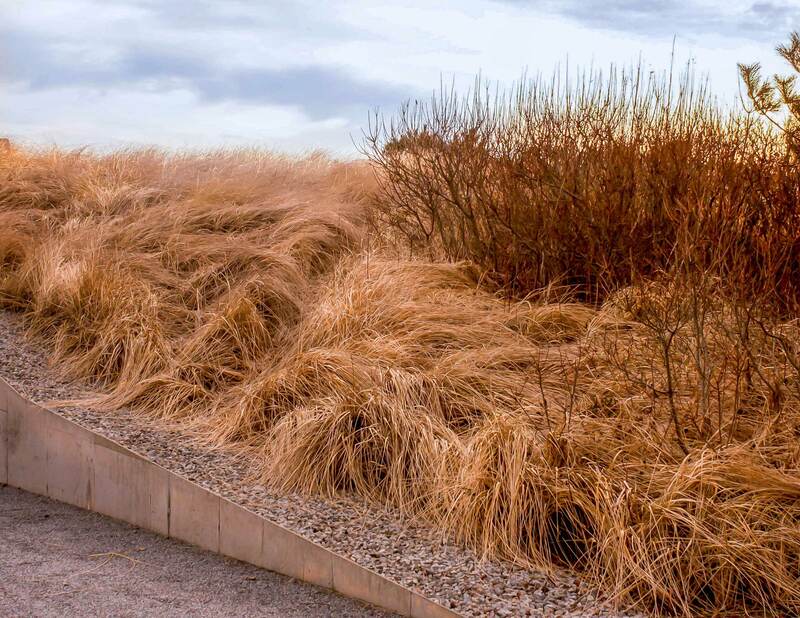 The use of a simple fescue meadow grass mix over the landforms further reveals the sculptural quality of the rolling earth. 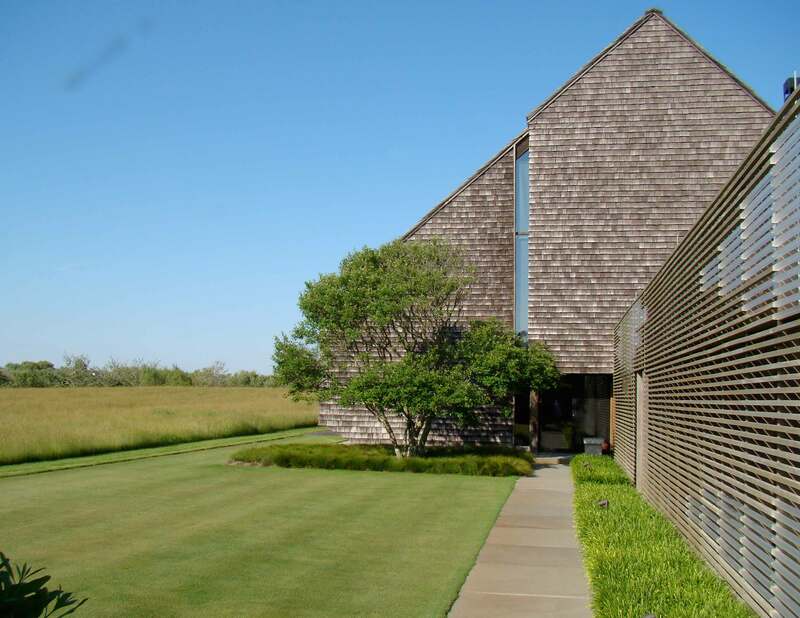 The landscape appear very natural in all the propriety, hosting a rich ecosystems of indigenous flora and fauna however, exception is taken at the entry garden, where the meadow gives way to a rectangular mowed green, set squarely against the house and natural landscape. This contrasting space serves to highlight the effect of refinement as one enters the home. 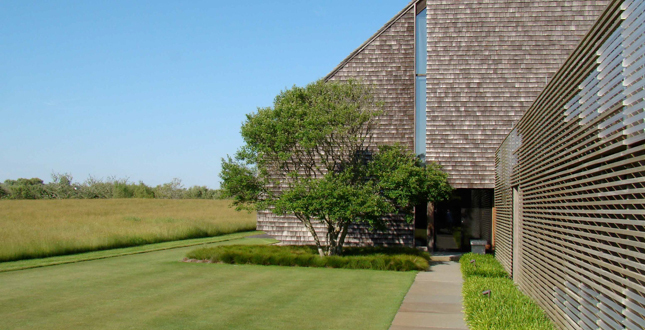 Such architectonic details in the landscape are disciplined to a few simple gestures.